Schedule: 4-week Online Certification Course. Register by May 15, 2019 and save $100! Join us for a 4-week (30-hour) online course to learn how to tailor your yoga teaching through the sublime healing system of Ayurveda, the sister-science to Yoga. Drawing its wisdom from thousands of years of practice, Ayurveda looks to the five elements (ether, air, fire, water, and space) as a foundation for experiencing balance both in the natural world and within our beings. The doshas (vata, pitta, and kapha), comprised of varying degrees of the five elements, are the 3 bodily humors that make up one’s mind/body constitution. In this certification course you will learn traditional Hatha Yoga practices such as pranayamas and asanas that are geared toward increasing or decreasing the 5 elements and in turn the 3 doshas. Other practices such as mantra recitation, kirtan, and meditation are taught specific to each dosha as well. Classes vary from gentle to moderate intensity depending on the elements/doshas being explored in each specific class. Learn how to choose a yoga practice that fits your individual body’s needs or that of a student’s, as well as the time of year and place in life. For example, some days certain body/mind types need grounding, warming, relaxing flows, while others benefit more from precise, mental focus, and cooling routines and still others are best served by invigorating, uplifting, dynamic sequences. 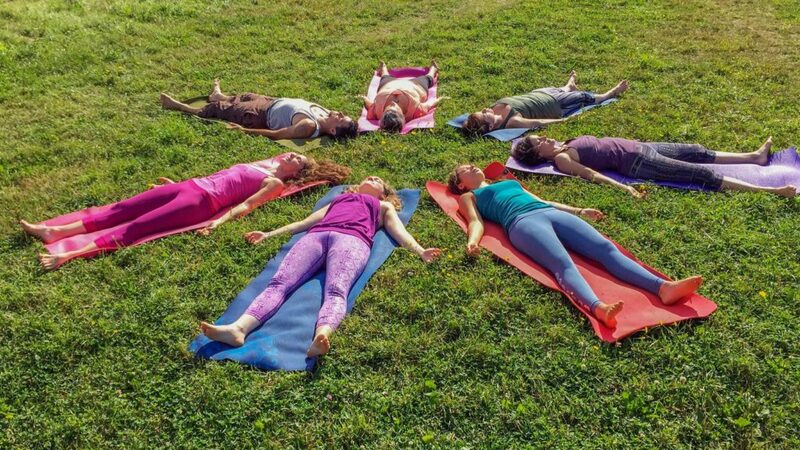 We explore them all and participants have teaching practice assignments to learn how to make a yoga practice truly therapeutic for the body, mind, and spirit! 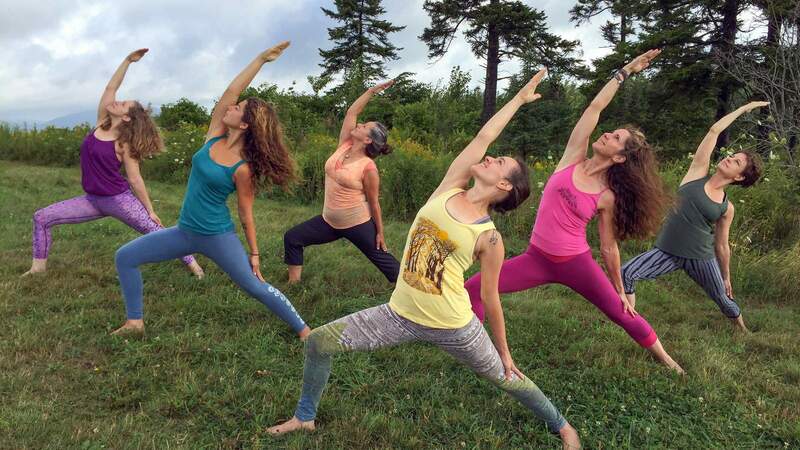 This course certifies yoga teachers (who have already completed a 200-hour YTT) to lead Ayurvedic-inspired yoga classes in both group and individualized settings and is also open to experienced yoga practitioners who would like to explore this field of study. 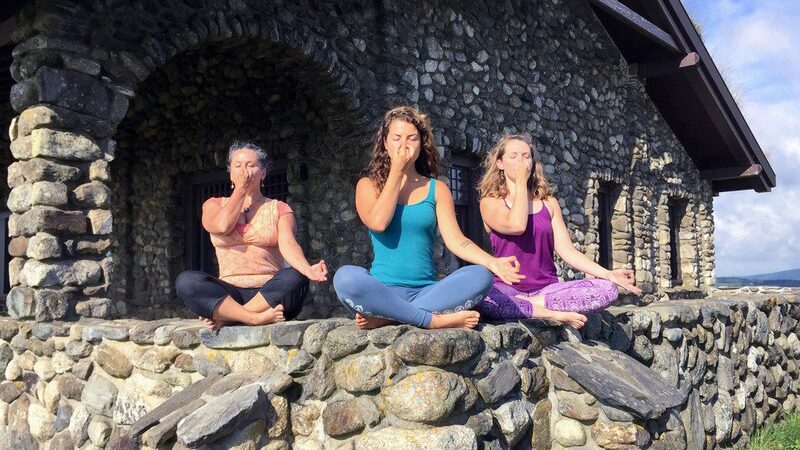 Please note that this training incorporates Ayurvedic wisdom through doshic-specific asana, pranayama, meditation, and chanting, and is not an Ayurvedic dietary course. There is also 1-2 homework assignments each week, including Ayurvedic-Yoga class designs, practice teaching and written prompts in response to the videos. This course also includes an opportunity to connect with other course participants on an online forum. The instructors are available throughout the course to answer questions online and offer weekly recorded Q&A sessions in response to participants questions each week. Allot about 7-8 hours/week for completion of all course material. Registration: To register for the Online Ayurvedic YTT, submit the application below. Continuing Education Credits: 28 non-contact CE hours are available with Yoga Alliance for RYTs for the Online Ayurvedic YTT and 26 PACE CE hours are available with NAMA for Ayurvedic Practitioners.